When Fernando Alonso slowed on the 39th lap of the Canadian Grand Prix, the Spaniard claimed he had suffered an ERS issue leaving him with no power. 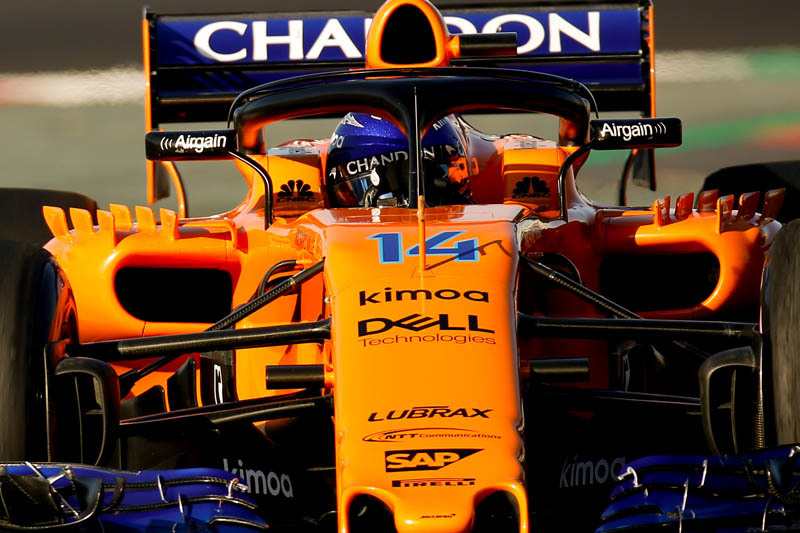 However, subsequent investigations revealed that in fact the McLaren driver, one of just three drivers not to finish the race, had suffered a broken charge air cooler pipe which led him to lose boost pressure. REnault boss Cyril Abiteboul was delighted to hear the true cause of the McLaren's problem as it demnstrated that across the six cars using the upgraded power unit, engine reliability was not an issue. "I stopped breathing for a moment when I saw Alonso complaining about his ERS," he told Motorsport.com. "But I understand it was another problem, not a Renault part. "So it was good, a very interesting introduction of 'Spec B'," he added. "We see from top speed we've been very competitive, we also see a bit of a step from Honda. "We know exactly what they are providing, and they are providing what we advertised they would a few weeks, if not a few months, ago." Lack of fuel development costing Red Bull? FIA looking to automate chequered flag? "Alonso is no help to develop a car or engine, ask Honda , Mac or Ferrari."